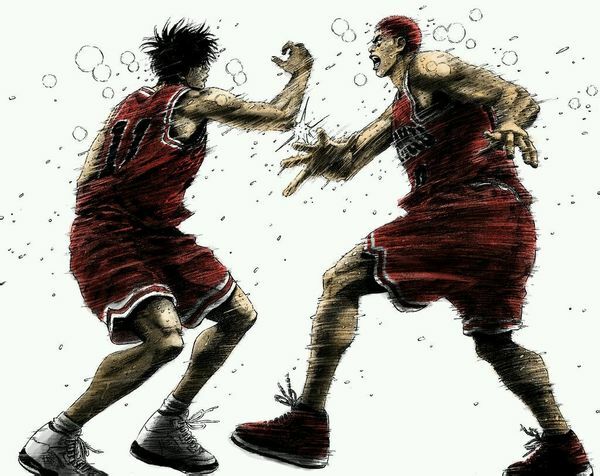 Background Information: in China, this WE run in IEM is pictured as an epic Shouhoku story same as Slam Dunk, which you can see my blog. Youth is fullfilled by regret. Here is the Sky response to a Zhihu(CN Quora) question: How to assess the performance of WE. Additional note: My English is never good and if you have any advises please tell me. Big thanks to ShootAnonymous for helping me improve the quality of this post. 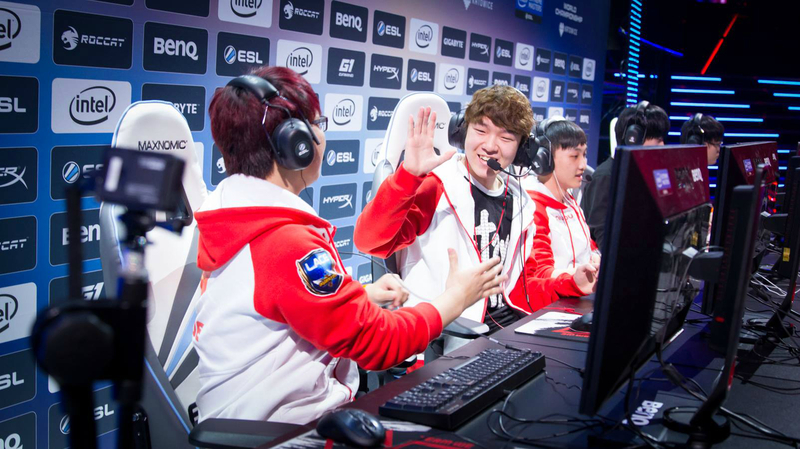 Yesterday night at IEM9, the boys from Team WE advanced to final of League of Legends. However they lost to TSM, and were of a championship-less fate; the fans who concerned about League should have known this news earlier, and after this loss, I too could not help recollecting some pieces of my professional career. Now, everyone calls me ‘King of the Sky’ because of the impact from when I won the first championship of Warcraft 3 for China in WCG 2005 in Singapore and won it again as a defending champion in Italy. Nevertheless, if you cared about Sky from that year might still remember, I lost to Creo in Seattle, USA in 2007, and was not fated to get triple crown. I can still remember every detail of that match, and that memory is even clearer than those of the tournaments I won. In the final match of Bo3, I had once believed that the match was already in my control, and beating my opponent was only a matter of time. But I underestimated the ability of defend of Creo. Although he faced much difficult timing, he didn’t collapsed under all the pressure. After a series of back and forth, his Demonhunter reached that terrifying level 6. At the time seeing transformation of Demonhunter, the WCG three consecutive championships had once close to me went away. Watching my supplies continuously dropping, the Human units were getting picked up one by one by Demonhunter, I was still refusing to type ‘GG’. It was not because I didn’t want to concede that I lost, but I really didn’t want to leave this stage. The cruelty of e-sport is there is only one champion and winner takes all. In 2007, I beat Lyn, Grubby and Moon, the achievement of 3 consecutive WCG was only 1 mile away from me, but I could not grab it. I fell before the army of Nightelf from Creo. I had not accepted that loss for a long period of times. 10 years have past, the mainstream of esports have changed from CS, Broodwar, Warcraft3 to Starcraft 2, Dota 2, LoL, Hearthstone etc, but the cruely of esport has never changed. Only one champion, winners can enjoy claps and praises, loser can only lower his head and even get criticized by everyone. I have never thought this is unreasonable, or this settings of esport attracts me most. As a result, I think all of the criticism about strategies, mechanics, and preparation, even the level of this team from this loss of WE boys is actually quite good. Someone discusses about you means someone cares about you. If everyone is too lazy to talk about you, it means you are not even in the list of teams everyone cares. At the same time, I think their victories against CJ and Huya in Poland are not only because of luck, but also their efforts along this season should be appreciated and encouraged. In professional career, even in their life, a loss is only a loss, losing the match is not horrible. If we still have our souls of winning, today the opponent we lose to, will be beaten by us with all of our effort tomorrow. 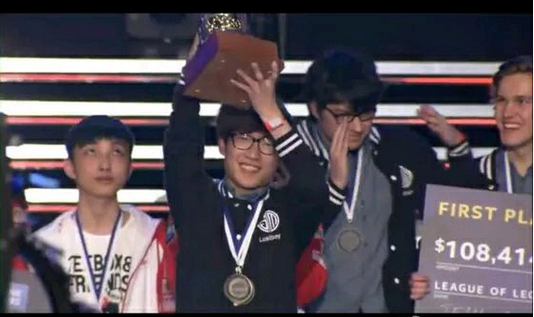 Regardless of the game played, I think that whether you are a Warcraft player, Starcraft player or Dota player, LoL player, if you have devoted the sweat, effort and anticipation toward the games you loved, have witnessed effort and disappointment from the shadows hiding behind champions, you should have understood the feeling I have towards them. Cheer up WE boys, there are still a dozen of tournament waiting you to pay your effort, to battle, to win! Was a good read! Thanks for translating. If we still have our souls of winning, today the opponent we lose to, will be beaten by us with all of our effort tomorrow. Wow awesome read! Great thoughts from a world champ! Thanks for sharing and putting in the effort to translate the text into english! A little sad, definitely cruel, but that's the beauty of competition. The flow's kinda choppy but you did a good job getting the gist/content.meaning of the interview across. Continue reading and take on my suggestions at your own discretion. Main issue is run-on sentence (from the original CN text), grammar. Also, "In" of "In yesterday night" is redundant. Now, everyone calls me ‘King of the Sky’ because of the impact from that I won the first championship of Warcraft 3 for China in WCG 2005 in Singapore. ...I lost to Creo in Seattle, USA in 2007, and have not successfully won it three times. Very clunky to read in english; what he means is he was: was not fated to get triple crown. I can still remember every detail of that match, and it is even more clear than the tournament I won. to improve clarity: and that memory is even clearer than those of the tournaments I won. ....and beating my opponent only took some times. ....and beating my opponent was only a matter of time. ...the achievement of 3 consecutive WCG was only 1 mile away from me, but I cannot grab it. I apologise in advance if I come off as being harsh/critical. If you(or anyone) is offended by this post let me know and I'll delete it. RIP DotA Kings | BurNIng : Mushi : iceiceice : LaNm : MMY!